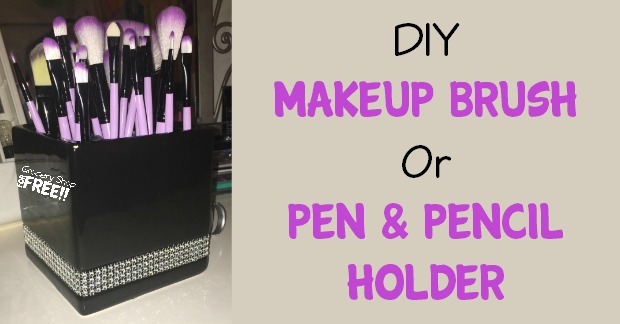 DIY Makeup Brush Or Pen & Pencil Holder! Today we are going to make this DIY Makeup Brush Or Pen & Pencil Holder! Keeping kids organized can be difficult… well, actually it IS difficult! But, to me, girls are harder to keep organized! They have more … stuff… just stuff! lol I have 3 boys and 1 girl, the oldest, her room was ALWAYS way more messy than her brothers – even when all the boys shared one room – hers was by far the most unorganized mess. Now that my daughter has kids of her own and a daughter of her own – she is living my life all over again! lol She has 3 kids 2 boys and a girl, the girl is in a constant state of needing organization. Today we are sharing this super easy and cute DIY Makeup Brush Or Pen & Pencil Holder my daughter just made for her daughter to help her organize her makeup area. I thought it was perfect for small spaces to spruce up an area yet save space. It would be great for a college dorm room or desk, or any work area! It’s very cute and super easy and she bought all of the supplies at the Dollar store for less than $10! That’s it, so easy – but, it looks great and makes things look so much neater and organized! If you have a kid that needs help in the makeup area or study area, this could be a perfect idea for you! Sometimes some fun new functional decor can help inspire them to organize the rest of the area. This would also be a great space saver in a dorm room study or makeup area, too! It’s so cute and functional all while organizing and space saving – how practical and cute can you get? If you decide to make this DIY Makeup Brush Or Pen & Pencil Holder, take a picture and tag @GroceryShopForFREE on Instagram <— here! I’d love to see yours! If you have other ideas for helping kids stay organized, take a picture and tag me on Instagram with those, too! I’d love to see your creations! Here’s another funa nd easy project: DIY Shower Jellies! Looking for more frugal home DIY projects? Check out these DIY Furniture And Upcycling Project tips! 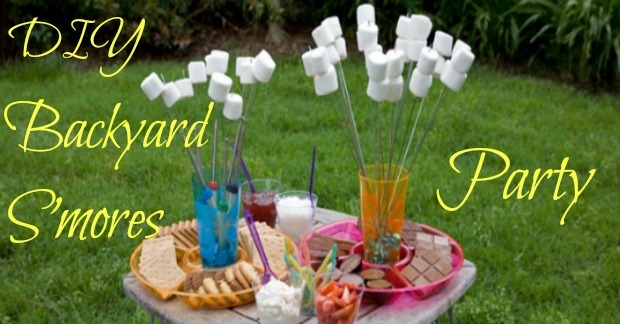 FREE Dollar Tree Club Offers Frugal Craft, Recipe, & Party Ideas! If you love to shop at Dollar Tree then here is the deal for you! You can join their Value Seekers Club and get access to members-only contests, money-saving party ideas, crafts, recipes, exclusive product sneak peeks & more! I saw a lot of fun stuff! PLUS, it’s FREE to join! Right now there is a $100 contest, too!